Media Group Ukraine is a managing company running TV, publishing, print and new media projects of System Capital Management. The strategic goal of Media Group Ukraine is to create an integrated system where all its assets will compliment and reinforce one another. The Group is a professional investor in the media industry of Ukraine and develops the following areas: broadcasting, production, sales house, interactive digital TV and new media. Digital Screens company which develops the interactive digital TV and VOD service - OLL.TV and is the owner of the Xtra TV satellite television operator. In February 2017, Media Group Ukraine launched an integrated large-scale news platform, Segodnya, which combines TV news, segodnya.ua website and Segodnya newspaper. Vogue UA magazine and Mediapartnership sales house are also under the umbrella of the media group. Media Group Ukraine has successfully evolved as a group of companies that manages SCM’s media assets. 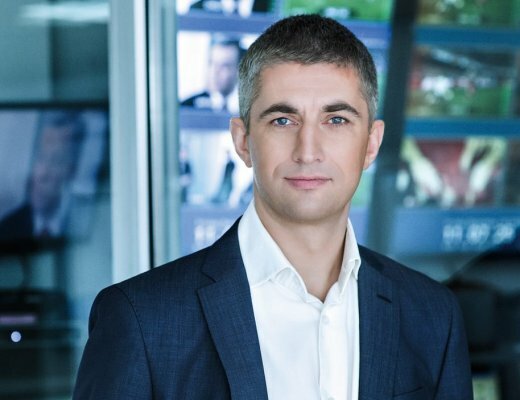 It has built an asset portfolio, laid foundations for effective operational management and cemented its position as a leader in the Ukrainian media market. Today, our goal is to develop synergies between the assets, maintain strategic advantages and improve operational efficiency.